The dataset contains polygons for Tree Preservation Order Schedule Items within the London Borough of Barnet. Tree Preservation Orders are made by the local planning authority to protect specific trees, groups or areas of trees or woodlands in the interests of public amenity – and formal consent is required for pruning or removing a tree so protected. An application form and guidance notes can be downloaded from the Planning Portal or Council’s website. It is an offence to contravene an Order by damaging or carrying out work on a protected tree without getting the necessary written consent of the London Borough of Barnet (as local planning authority). Further information can be found in the ‘Tree Preservation Orders and trees in conservation areas’ category of Planning Practice Guidance on the Gov.uk website. This data is an active and changing record of Tree Preservation Orders in the London Borough of Barnet and does not include trees that are covered by the more general conservation areas provisions. 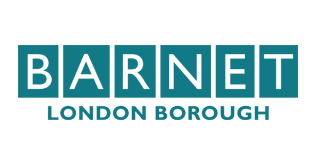 This dataset has been published by the London Borough of Barnet under the Open Government Licence (OGL) (v3). The licence has been applied following the Public Sector Mapping Agreement 'presumption to publish' process. Please see the metadata record for full details. The coordinate projection used is British National Grid. Non-GIS formats will not contain any co-ordinate data. Due to standards in some proprietary dataset formats text values will be truncated at 254 characters. The geographic feature type should be either a polygon or null. Zip file containing dataset provided in .csv and .tab formats, as well as .xml metadata and .pdf supporting document.